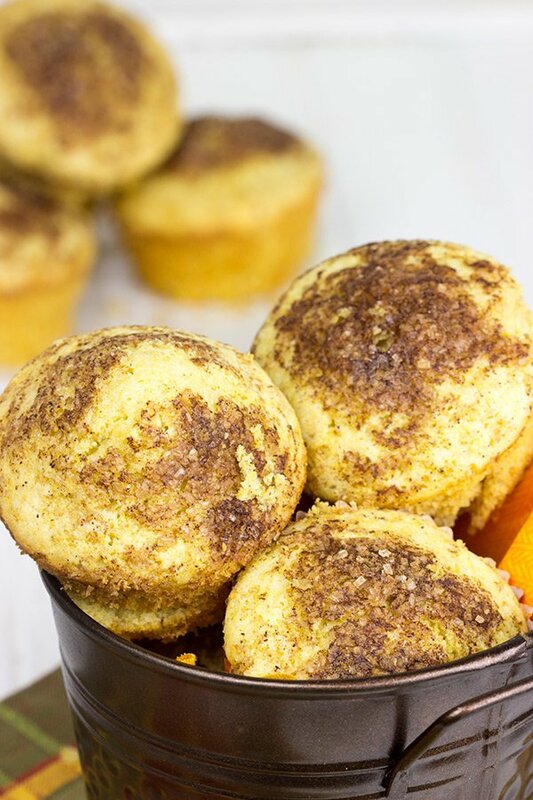 These Pumpkin Pie Spice Cornbread Muffins feature a dash of cinnamon and sugar on top. They’re easy, tasty and loaded with your favorite Fall flavors! So the other night my wife said she had a serious craving for cornbread with dinner. We had some maple butter hanging out in the fridge from our visit to a maple tree farm a few months back. And if there’s one thing that pairs well with maple butter…it’s cornbread! Maple butter is a creamy spread–think peanut butter but made entirely out of maple syrup. Since maple butter is sweet, I realized that it might be fun to put a slightly sweet spin on my traditional cornbread recipe. With the Fall baking season arriving, I figured cinnamon and sugar needed to be involved somehow. That’s when it hit me…pumpkin! I know pumpkin is usually reserved for October and November, but I just couldn’t help myself. I just had to break into the pumpkin a bit early! 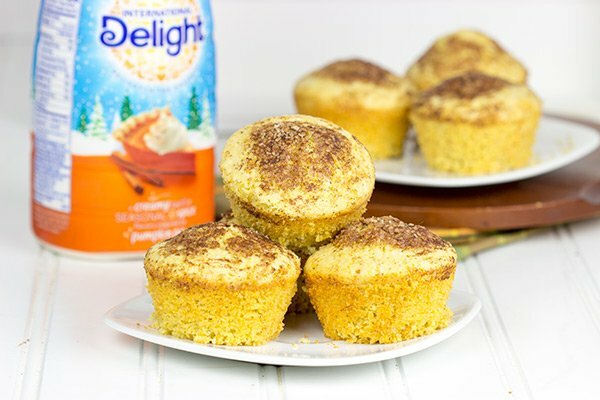 The Fall flavors in International Delight’s Pumpkin Pie Spice creamer would be the perfect addition to these cornbread muffins! Growing up in the South, I’m familiar with adding molasses to cornbread, so I suspected the pumpkin and cinnamon would work well, too. And the result? 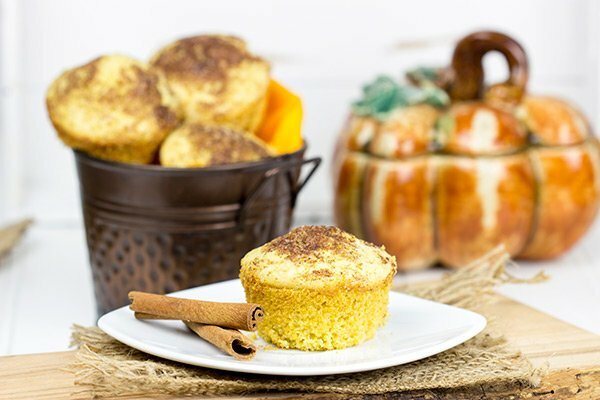 Well, let’s just say these Pumpkin Pie Spice Cornbread Muffins didn’t last too long around our kitchen! Can I just tell you guys how excited I was to see International Delight’s Pumpkin Pie Spice creamer in the store? (Apparently I wasn’t the only one who was excited because I grabbed the last bottle on the shelf. And the whole time I kept looking around like someone was going to steal it from me, too. The nerve of some people!) I was pleased to see that International Delight now makes their Pumpkin Pie Spice creamer in a fat-free and sugar-free version. Score! I foresee many crisp, Fall mornings ahead of me involving the back porch and a pumpkin spice latte! 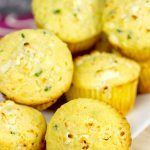 One of my favorite things about baking fresh cornbread muffins is just how incredibly easy they are to make! My wife texted to say that she’d be home in about 30 minutes. I started this recipe, and the cornbread was just coming out of the oven when she walked in the door. Talk about a tasty way to end the day. 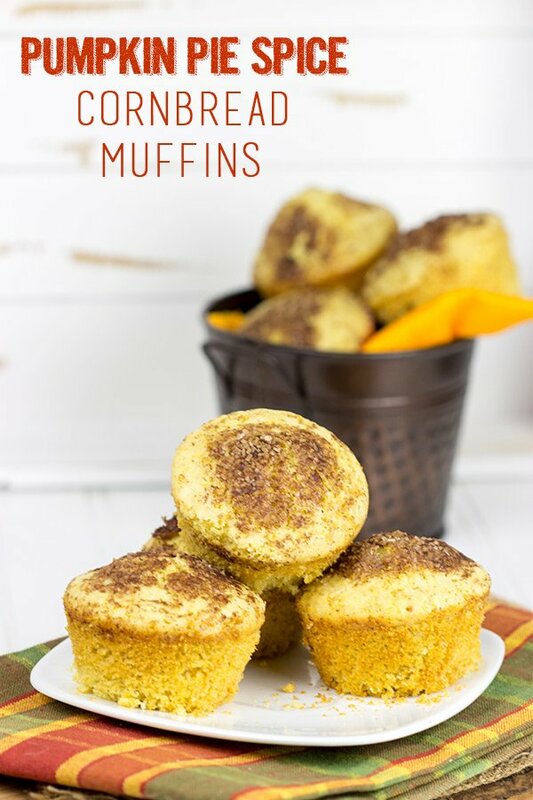 Embrace the Fall and whip up a batch of these Pumpkin Pie Spice Cornbread Muffins for dinner tonight! In a medium bowl, mix the buttermilk, Pumpkin Pie Spice creamer, oil, cornmeal and flour together. Stir until well combined. Let mixture rest for 15 minutes. Once the cornmeal has rested, add eggs, baking powder, baking soda, salt and melted butter. Stir until well combined. 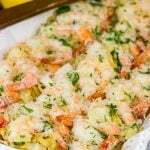 Fill muffin tins about 1/2 to 2/3 full with batter. Combine the sugar and cinnamon in a small bowl. Lightly sprinkle the tops of the muffins with the cinnamon sugar mixture. Bake at 425°F for 14-16 minutes, or until a toothpick inserted into the center of a muffin comes out clean. David – you are so good to your wife! Having warm cornbread waiting on her is just too too sweet! And speaking of sweet – is maple butter like apple butter in consistency or as thick as peanut butter? 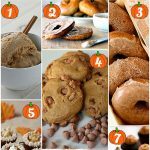 Love the idea of baking with I.D.’s pumpkin pie spice creamer – yup, I totally see why these didn’t last long in yalls kitchen! Why thank you, Shashi…you are just too kind. I think I need you as my neighbor up here! 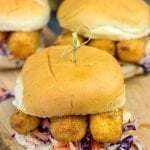 There may or may not be occasional leftovers…and I could use a friend to help eat them. 🙂 So maple butter is thick…I’d say close to peanut butter in consistency. It’s made entirely out of maple syrup (heated to a certain temperature and then stirred for a while). All I can say is the stuff is pretty darn magical. It’s sweet like maple syrup, but with an entirely different texture. The possibilities are endless! I am totally intrigued by this maple butter – I googled it and some pictures show it as runny (am assuming these are with it heated up) and others show it looking just like PB like you mentioned… totally fascinated I am! Haha…well, send her on up here! I’ve always got some leftovers in the kitchen. Today’s project is cupcakes. 🙂 And as far as maple butter, it is definitely thick…although it does melt when heated, so I imagine the pics you see are the ones heated up. It’s a magical creation that we only learned about once we moved up here. I suspect they probably have it at the Dekalb Farmer’s Market, though. They have everything there!! Mmm maple butter. That sounds divine. I love sweet Southern cornbread. What a unique twist! I am excited to try this recipe. It has been too long since I made cornbread! Pinned! Whaaat! 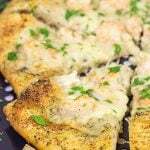 This recipe is amazing, David! Never thought of adding pumpkin pie spice and maple butter to cornbread, but it’s pretty damn genius if I must be honest! We usually have a big giant pig roast every fall and this seems like the perfect recipe for that! Oh, man…my mouth started watering as soon as I read pig roast and then thought about having that with pumpkin cornbread! Thanks for making me need to get up and go get lunch now, Graham! Love me some good cornbread. Being a southern boy, I expect your cornbread to wow me. 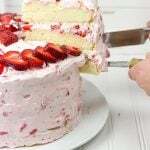 Just to make sure, you better go ahead and mail me some so I can taste it and make sure. C’mon. Please? Thanks, Chris! I’ll go ahead and drop some cornbread in the mail to you right now. I hope the mailman doesn’t eat them first, though…he’s been known to take a bite out of stuff before it leaves town. Oh, well that’s just not fair having these yummy pictures here, and you have not yet invented the machine to “beam” these to us yet. Just call me Pavlov’s pup. Haha! Thanks, SueAnn! Wait…is that a bell I hear ringing?? 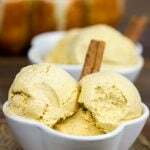 I love seeing new ways people add pumpkin pie spice flavors into recipes! Thanks, Kelly! Fall is one of my favorite times for baking! !